Smoky Hill Village - Quick possession with an American Home Shield warranty included. Welcome home! MLS#3010249. COLDWELL BANKER RESIDENTIAL 24. 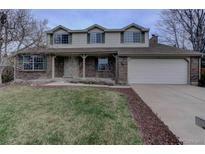 Trail Ridge - This property is near Southland Mall, E-470 and Denver International airport. Stop by today. MLS#7411677. HomeSmart Cherry Creek. Smoky Hill Village - Situated in a family-friendly neighborhood just a short walk to the community pool, this home is sure to go fast! MLS#7924185. Equity Colorado. Four Lakes - For Virtual tour go to www.2109EastPhillipsPlace.info MLS#8163838. Your Castle Real Estate Inc.
Smoky Hill Village - Don't wait, showings begin Saturday a.m. MLS#1593302. eXp Realty, LLC. Park View Commons - Showings begin at open house, Sat Apr 6th 11 am - 3 pm, stop by to see this home! MLS#6161147. United Real Estate Prestige Denver. New washer/dryer, newer HVAC & water heater! MLS#5829469. Redfin Corporation. New roof, newer furnace and AC! MLS#2950704. RE/MAX Masters Millennium. This home is move in ready! MLS#8507063. Scout Real Estate Group. Other bonuses include: 42" soft close cabinets, great location, hardwoods throughout, mature landscaping, plantation shutters...HURRY! MLS#3365673. RE/MAX Unlimited Inc.
All baths have handicap rails! Welcome home! MLS#6265357. Light & Salt Realty LLC. As you walk in the front door you will delight in finding soaring ceilings, a open concept floor plan, and plenty of natural light. 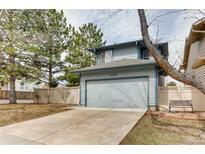 MLS#8442738. Cobb Home Team LLC. Park View - Located in the esteemed Cherry Creek School District. MLS#4243633. Live.Laugh.Denver. Real Estate Group. Cherry Creek East - Swimming pool w gorgeous stone patio surrounding Beautiful covered A frame patio w views.Great location!Cherry Creek schools!So much more to see! MLS#5304311. Realty One Group Premier. Smoky Hill Village - Call now to schedule your personal showing! MLS#7282155. TRELORA. Newer garage door, opener and driveway. MLS#2935169. MB HAUSCHILD & CO..
Great opportunity in a great neighborhood! MLS#7768899. RE/MAX of Boulder. Smoky Hill Village - Overall the property is designed to delight and built to endure. Ready now! MLS#7725106. RE/MAX Alliance. Lots of opportunity in this location, Come see this today! MLS#3574151. Keller Williams DTC. This lovely home is being offered for sale with both a one year AHS buyers home warranty and a one year membership to the nearby Southglenn Country Club, amenities include golf, tennis and swimming! MLS#8526562. Coldwell Banker Residential 44. Broadway Estates - A Great Value for the Discerning Buyer! ! MLS#3552768. Preferred Properties Inc. Known for our energy saving features, our homes help you live a healthier and quieter lifestyle, while saving you thousands on utility bills. MLS#9356510. Kerrie A. Young (Independent). Cherrywood Village - One mile from the streets of Southglenn Mall! MLS#6348070. Shop Real Estate. This home has it all and is five min away from everything, including convenient access to E470, Southland's Mall, Dining, Breweries, Library, the Trails Recreational Center, Quincy Reservoir, The Plains Conservation Center, Denver International Airport and More! MLS#7918915. Thrive Real Estate Group. Smoky Hill Village - Easy access to shopping, dinning, and Cherry Creek Reservoir is near-by. Welcome Home! MLS#1620391. Keller Williams DTC.